Without a doubt, first impressions can last forever. Did you know that research shows that it only takes up to 8 seconds to make a first impression? We are given only one shot to put our best face forward, so let’s make it perfect! One important event in a girl’s life that has to do with first impressions is our very first date. Sharing from experience (lol), I’ll be giving you guys some tips on how to make that perfect first date impression! Read more to find out my three easy & simple steps! 1. Keep it light & simple. All out heavy make-up is a big no-no for your very first date, in my opinion. Unless your first date is at a bar or party, it’s best to keep your makeup fresh and light. To achieve this look, I personally use Maybelline’s BB stick as my concealer and it magically brightens up the area under my eyes, giving me bright and flawless skin. I highly suggest this product because it’s so easy to use and there are several shades to match your own personal skin tone. So no uneven skin tone, just plain flawfree skin! As you can see here my make-up is really light. Another good thing about light make-up is that you’re comfortable in your own skin and your real features still shine. Outfit wise, don’t try to be so daring or revealing. The outfit I wore here would probably be an outfit I would have worn to my first date. It’s simple, comfortable, and effortless. I would suggest wearing a cute dress or chic top + skirt combo on your first date. Make sure that you’re comfortable in your skin and keep it classy to leave that respectable and dignified first impression. This is an advice that you must always keep in mind while on your date. Don’t try to be someone you’re not, fake to be interested or like a certain band or type of music and what not. Like similarities, variety and difference in preferences and opinion also makes a good interesting conversation, especially on your first date. You wouldn’t want to leave an impression that you’re a boring person who has no personal stand on anything, right? Also, you can’t keep pretending til the nth date. Easy steps right? Like my personal style, it’s all about keeping it simple and comfortable. As a blogger and student, I have had my own personal experiences of first impressions and realized that #firstimpressionsmatter, and how important they are in making friends and building connections. As a student, how you talk, act and even what you wear, greatly affect how people will see you and approach you. As a blogger, of course how you look in bloggers events leaves an impression on what sort of blogger you are or what your style is. So I guess I have left a good impression on my first date, or I wouldn’t be currently in a relationship right now, lol. 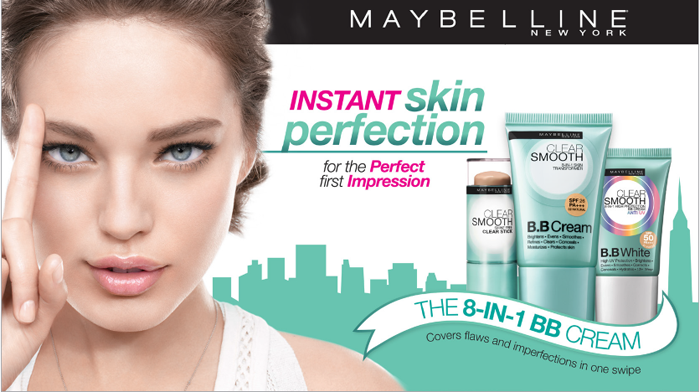 So now, I would love to hear your own first impression experiences and how Maybelline BB products have helped you in those experiences! Would love to hear your stories! Want to find out what first impression you make on others? Take their First Impressions Meter.It’s a fun, one-of-a-kind app that gives you 8 seconds to decide your first impression of other people, while they decide their first impression of you! What do you think of my date outfit?